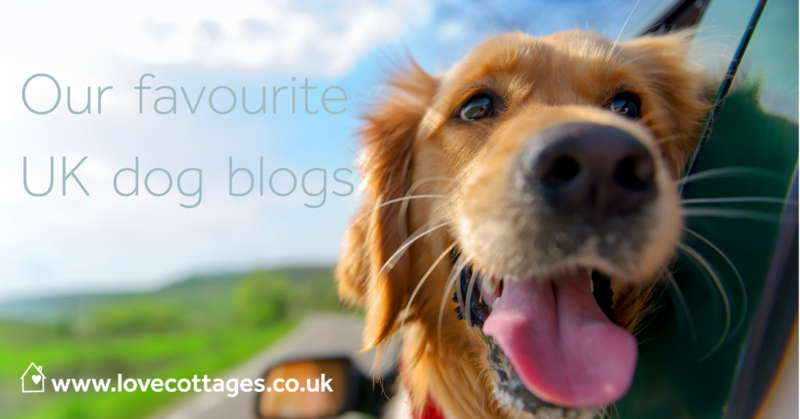 Paw-friendly and pun-tastic is our promise for this dog blogs post, because dog bloggers and dog friendly holiday cottages are more of a natural tie-in than you’d think. Self catering holidays have always been the ‘go to’ for pet owners who like to travel with their pooch rather than send their best friend to a doggy hotel (a.k.a. kennel). And nowadays those dogs have their own social media pages and live vicariously through the human scribblings of their blogging owners. Now, as with our personally inspected properties, we like an air of exclusivity about things. So we’ve trawled the dog blogs on your behalf, to bring you only the most well travelled and chipper chaps and chapesses of dog blogging. Zuki’s blog title says it all. Zuki the Poochon and her owner Hazel unveil the travel hotspots for dogs. One paw-fect place to stay wasn’t enough, so they’ve done the research for you. This is every travel loving dog owner’s answer to mini break heaven. Let the pet friendly holidays begin! Ever energised by the increasing options for travelling with her dog, Bodie, Belinda ensures you’re spoilt for choice when it comes to holidaying with your pooch. From wooftastic restaurants to charming cottages, their years of tail-wagging adventures will have you drooling for a holiday. One man’s blog about his endeavours to maintain his penchant for fine food, ales and fun times despite falling head over heels for a cute miniature schnauzer. That man, Mark, and said cuteness, Grenson, share their favourite haunts for eating, drinking and staying over. From their holiday home on the Isle of Wight to the far reaches of Scotland – they’ve travelled well without scrimping on the beer. Maggie the beagle and her adoring “peep” are a well travelled pair with paws in the UK, Asia and the USA. Competing with Michael Palin when it comes to destination bucket lists, her dog wagging view of the world will twitch the ears of even the cosiest pooch by the fire. Lili the labradoodle is one set of paws from a globally travelled pack – her brother lives in the Maldives. But from her happy UK home she’s hot on all things pet friendly in Wales. We particularly love her round up of dog friendly beaches in Wales and which ones have seasonal dog rules. Lupo the Doberman might be a bit of a handful, but owner Jess puts that to good use as she test runs everything going to get the most out of owning a dog. And six years in, she has more than experienced the do’s and don’ts of travelling with dogs. From protecting your boot when travelling with dogs to uncovering the best spring walks for that mini break in Devon, Your Dog Blog does the road testing of dog products and days out for you. Possibly the most active dog owner community, you’ll find everything from dog friendly places to stay to days out and Easter goodies for dog. The paw-fect place to find and share dog friendly travel ideas with fellow pooch owners. Even the dog needs room for their suitcase in the car. Basil, the Boston Terrier, will undoubtedly have the most stylish. Along with his perfectly preened owner Alex, they’ll have your cocker spaniel’s capsule wardrobe sorted in seconds. And for those who have fallen for a gorgeous holiday letting that sadly doesn’t accept pets, there’s Jo and her poodle-border-collie-cross, Ollie, to guide you on all things dog boarding, day care, house visits and dog walking. That’s a whopping 48 per cent of our holiday rentals that are dog friendly. After you… view our dog friendly holiday homes.